Massage is an integral part of our Wellness approach. By creating balance in the muscles, every movement is more energetic. Joints can move freely without muscular tension and adjustments can also become more effective. We highly recommend regular massage as part of our patients wellness routine. Our newest full-body massage treatment performed using heated bamboo shoots that are hand-crafted and shaped to glide smoothly over the body. This technique allows our therapists to work deep into the muscles creating a ‘deep tissue’ feel with the added benefit of heat and healing properties of Bamboo. We are confident that you will love this new approach! Combines Swedish & Deep tissue techniques to tailor massage to your personal Wellness needs. This combination creates a balance so that the body can heal itself most effectively. Dr. Heidi recommends this massage at least once a month to meet your wellness needs. Relieves the emotional stress & physical tension that accumulates during pregnancy. This massage is also tailored to your needs & unlike other massage locations, is doctor supervised to assure safety of care during this precious time. Our Prenatal Massage is performed side lying and is tailored to your specific needs. Our team is specially trained in prenatal techniques. Myofacial Release is a hands-on technique that involves applying gentle, sustained pressure into Myofascial connective tissue restrictions to eliminate pain and dysfunction. Restrictions in the fascia are often the result of injury, trauma, inflammatory responses, surgery or chronic conditions. Fascial restrictions can lead to numerous dysfunctions in the body. Our Cold Stone Massage Therapy combines aromatherapy, headache point release, and the strategic placement of cold, marble stones on the face and the neck to eliminate or diminish the pain and pressure of migraines, tension headache, allergies and sinus pressure. Try this natural therapy as your first line of treatment, before resorting to medications! MFR Fusion Deep Tissue massage is a combination of the John F. Barnes method of myofascial release fused with deep tissue work, trigger point release, and functional muscle testing to diagnose weakness or imbalances causing overly tight muscles. These massage sessions assist and support the body's healing process, guiding it toward alignment, balance, and pain-free movement. MFR Deep Tissue Massage is especially beneficial for chronic tension that does not respond to conventional massage therapy..
"Victoria is my go to person for deep tissue. 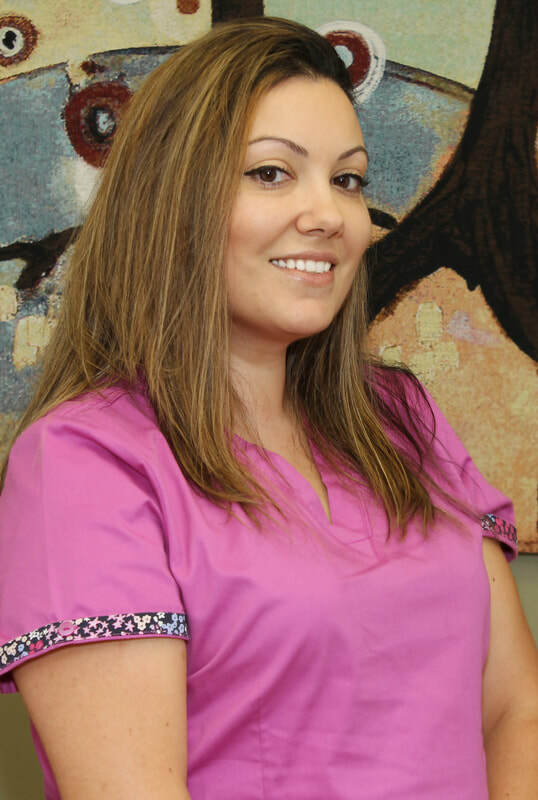 I have never left disappointed and love that I can feel comfortable enough to ask Victoria to work on specific areas during my massage." 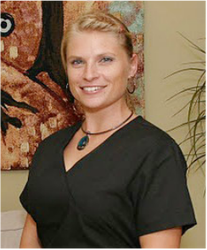 "I have to acknowledge Andreja Dabsys as one of the best massages I've ever experienced ."